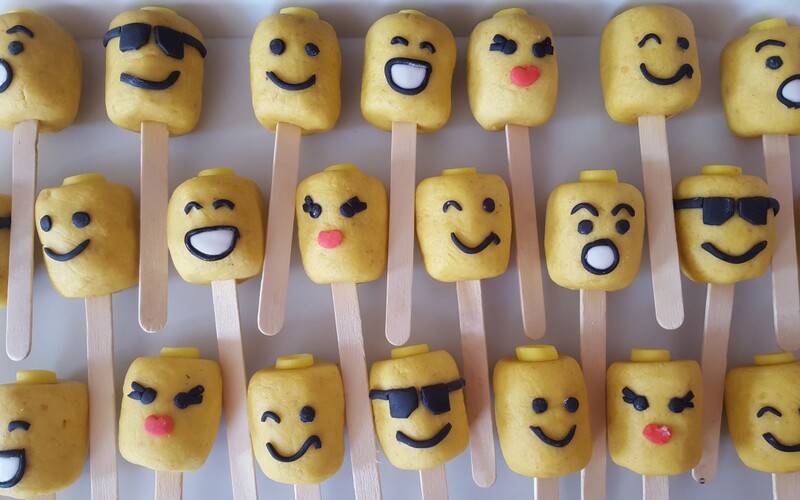 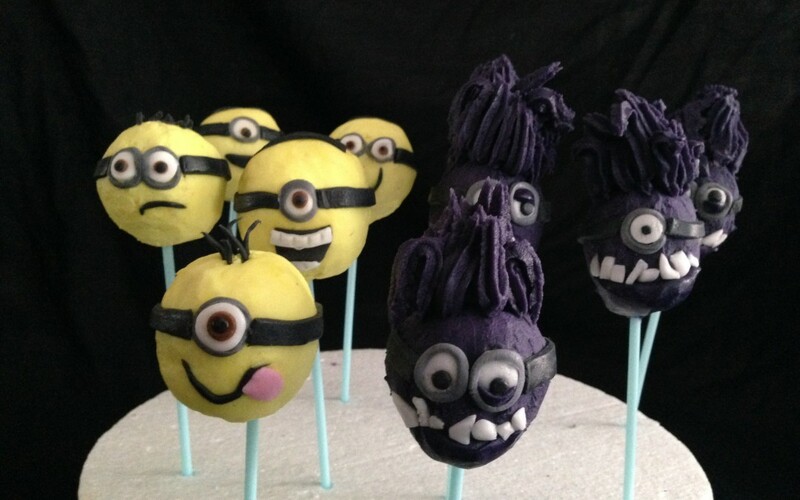 Lego head cake pops, vanilla cake pops all decorated with different lego faces. 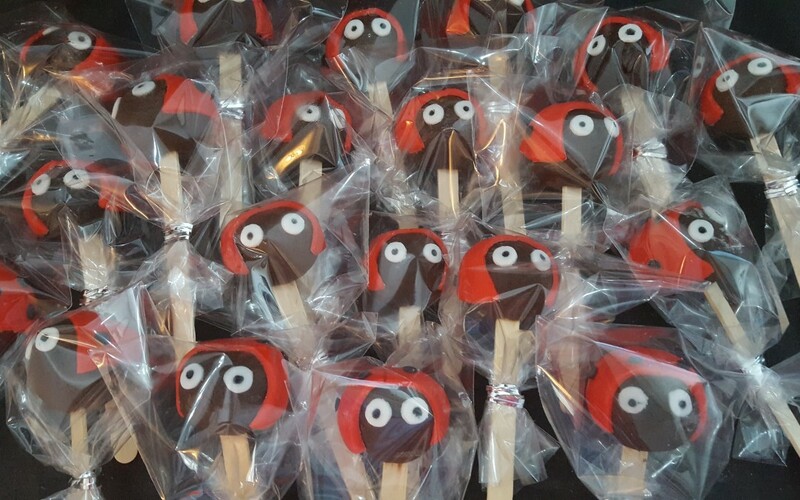 25 chocolate cake pops decorated like ladybirds. 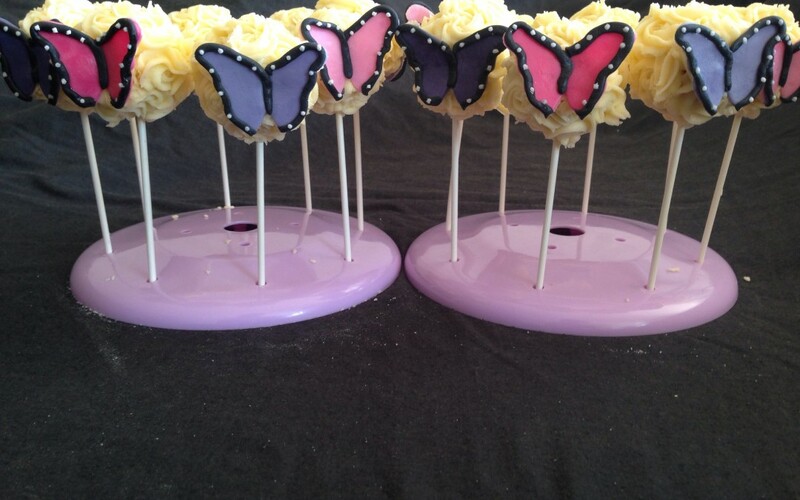 Made to go as party bag fillers to go with a sunflower cake. 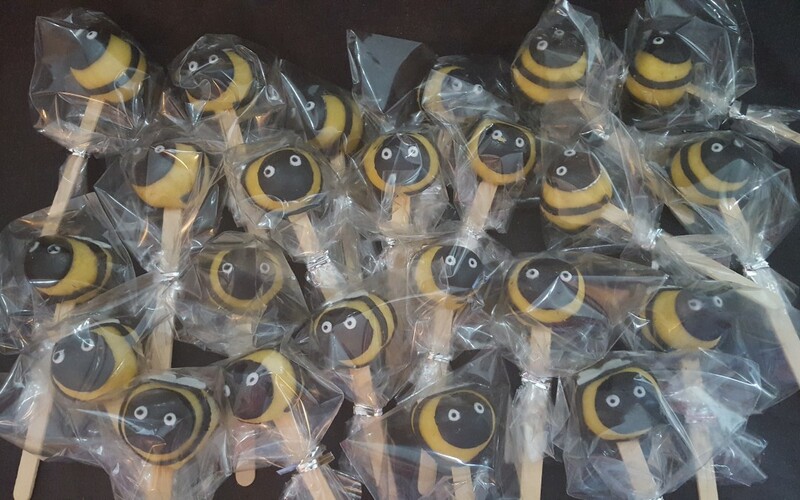 25 vanilla cake pops decorated as bumble bees, made as party bag fillers to go with a sunflower cake.